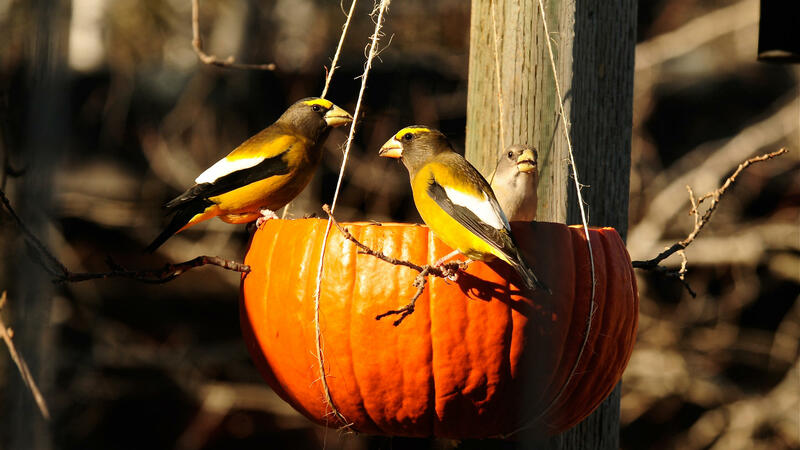 what a season for hopper bird feeders! 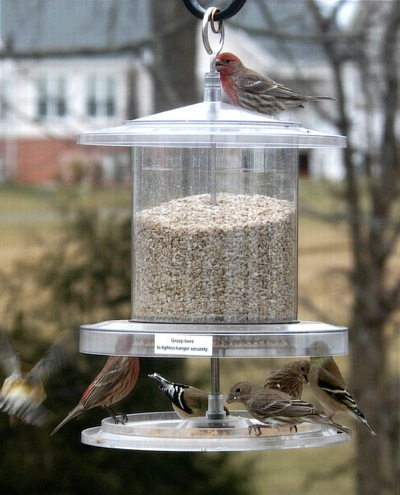 Busy feeders this season… that would be an understatement! 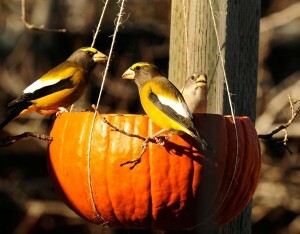 Oh how I wish we were in the birdseed business because it’s been an amazingly active season for seed feeders. Now there’s a pretty good smorgasbord going on in our yard, with suet, peanuts, mealworms, even the squirrels get theirs as all bird feeders have baffles to keep them at bay. But sunflower hearts, cardinal and finch mix? Omg… going through this seed like water, and spending more on seed than groceries! Winter’s been a bit longer and colder than last year, but this is supposed to be spring right? Wrong – central IL just saw 5 inches of the white stuff today. 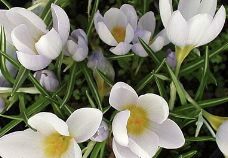 Bluebirds who have started laying eggs will loose the clutch if incubation has not yet begun. 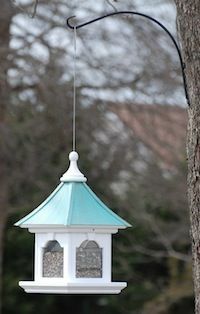 Large Hopper Bird Feeders are being filled at the rate of ridiculousness, and positively, squirrels aren’t raiding them! Big double hoppers like this are being emptied twice a week, we’ve never seen birds so ravenous. Raging hormones and gearing up for nesting couldn’t possibly be the cause? 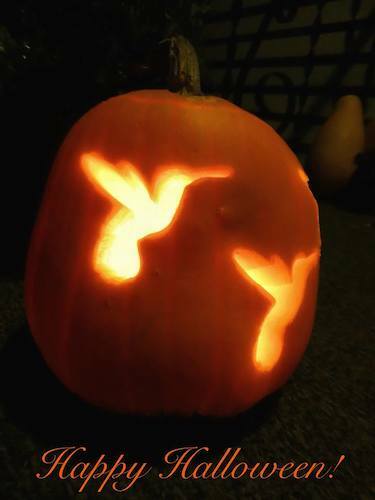 More birds? Maybe they’ve told all their friends of a great new restaurant? But it’s not just our yard, reports from our local feed store say it’s been a fantastic seed-selling season, more so than any other they can recall. This kind of seed’s not cheap either. 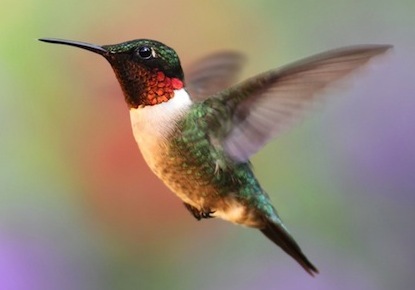 Past droughts and fuel costs have caused most birdseed to skyrocket in cost. While searching Craigslist recently a person was bartering with food stamps. 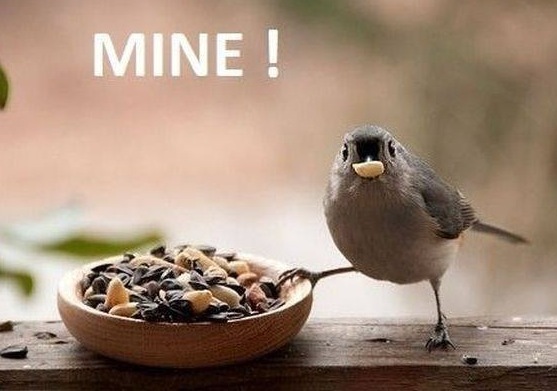 Hmmm… wonder if anyone would take food stamps as payment for bird seed? Would you file this one under hopper feeders? Because it’s definitely not a tube style, nor a platform (although it does have one). 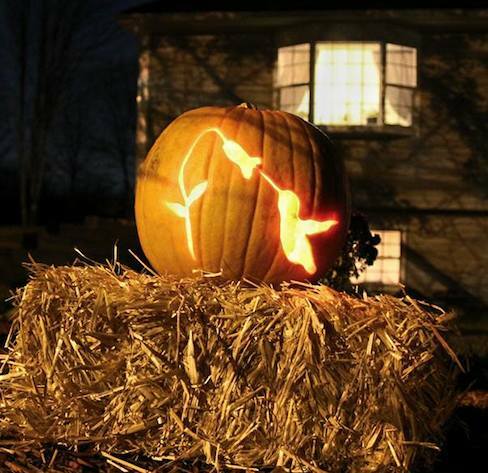 Do you think birds know about “thinking outside of the box”? 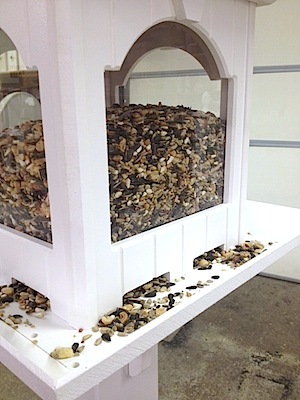 They must have some clue, because instead of eating downward in natural fashion, they eat upward with this feeder. Huh? That’s what we first thought too… until we saw it in action! 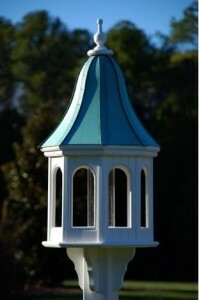 The All-Weather Feeders are truly an innovation in wild bird feeding. 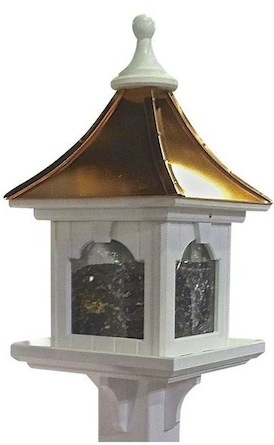 These hopper bird feeders absolutely keep seed dry in the most horrid conditions, and only dispense seed that’s required at a particular time – for that particular bird. Ten seed ports installed on the underside of the big hopper are totally protected from the elements… even sideways rain! Birds use the tray to land and perch, while feeding from above, allowing you full view of all feeding birds. 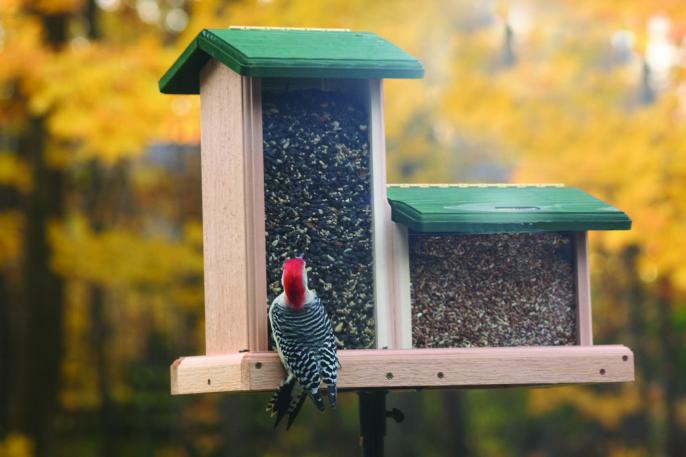 The tray is also useful for acclimating birds while the feeder is still new to them. 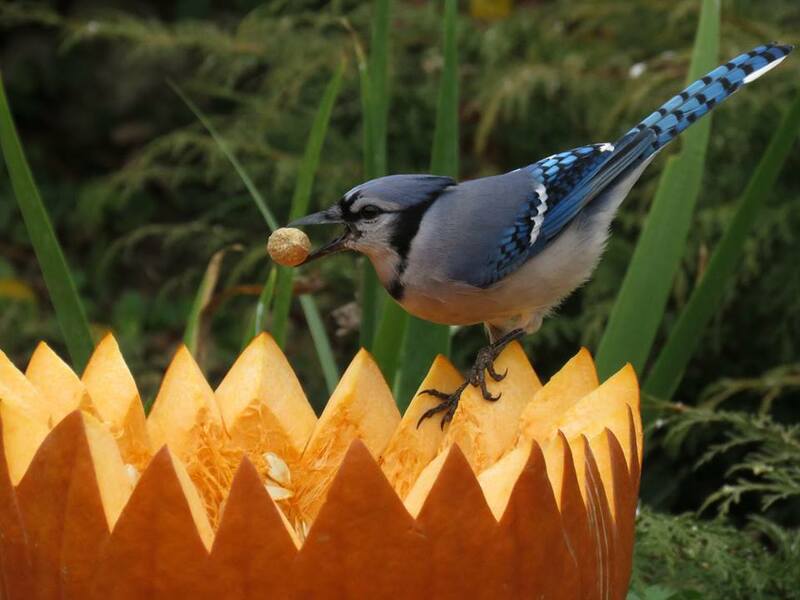 Additional treats (like shelled peanuts or suet chunks) may also be used on the tray itself to further entice feathered friends. 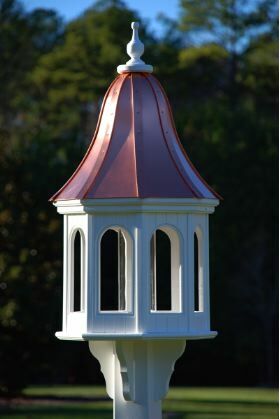 Available in four or six-quart capacity, the All-Weather Feeder offers an optional pole mount attachment too. Black oil sunflower or a safflower/sunflower mix tends to work best. The seed ports are too small for striped sunflower seed. 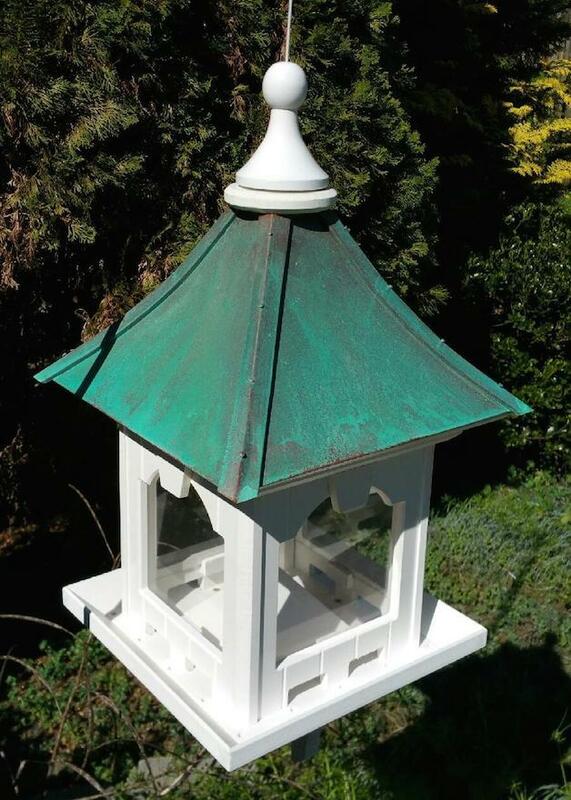 Made of sturdy polycarbonate that won’t yellow over time, the feeder also comes with a full ten year guarantee against breakage. No more cleaning out wet seed after rain and snow (when birds depend most on a constant food source). 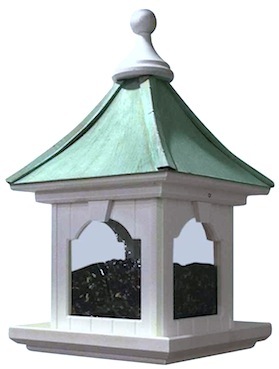 100% weather-proof feeder keeps seed dry and available at all times, no matter the weather! 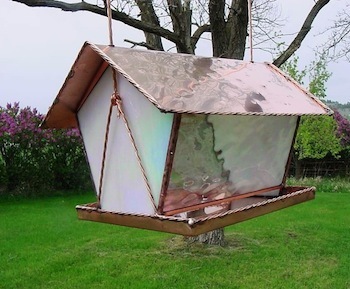 Truly an innovation in wild bird feeding, it just goes to show that all hopper bird feeders are not created equal!